In 1976, two brothers in Lakeland, Florida, began building on their automotive business experience to develop specialty lubrication and fuel system cleaning formulas for automotive and industrial applications. Initial R&D efforts included tests and applications in Central Florida’s demanding phosphate mining and citrus industries, addressing problem areas with cost-effective solutions. 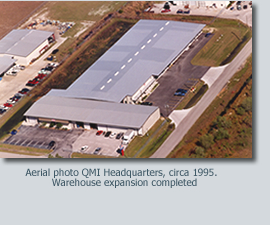 The brothers founded QMI in 1986 with a thrust into national industrial markets, bringing exposure to demands exceeding typical automotive market requirements. This exposure produced formulas to addressed industrial concerns related to product safety, supported by performance claims based on “real world” applications in heavy industry and internationally recognized testing laboratories. In 1989 an engineer from a major corporation approached QMI to produce fuel system cleaning products, “safe for the vehicle, the technician and the environment,” along with specific performance requests. Meeting these requirements produced fuel system cleaning formulas providing deposit control with petroleum based detergency while providing two-stage cleaning along with lubrication and conditioning against future deposit formation. 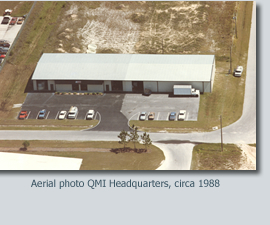 QMI’s international efforts, beginning in 1992, led to sales in more than 100 countries with exposure to increased demands for product safety and effectiveness. QMI addressed these demands and established a world-wide reputation, including remarkably effective applications in the Norwegian shipping industry’s huge diesel engines. These successes led to the QMI automotive service market program, initiated in 1996 and expanding to offer a full line of automotive maintenance service products and equipment supported by a field team with outstanding customer service. The market response now provides to customers in more than 4,500 automotive service outlets in the continental US. In 2006, ITW, a multi-national company headquartered in Chicago, recognized our market leadership and acquired QMI. Combining years of product and equipment development with ITW’s resources, QMI supports our markets with unequaled growth technologies to supply our customers’ evolving needs. We recognize that our customers face increased challenges, including technical, economic and environmental demands. QMI responds with the resources of a $16 billion dollar parent company and superior business partners to maintain leadership in R&D, product quality, performance, customer support and training solutions. QMI proves our leadership every day with a global network of professional end users and authorized aftermarket distributors.